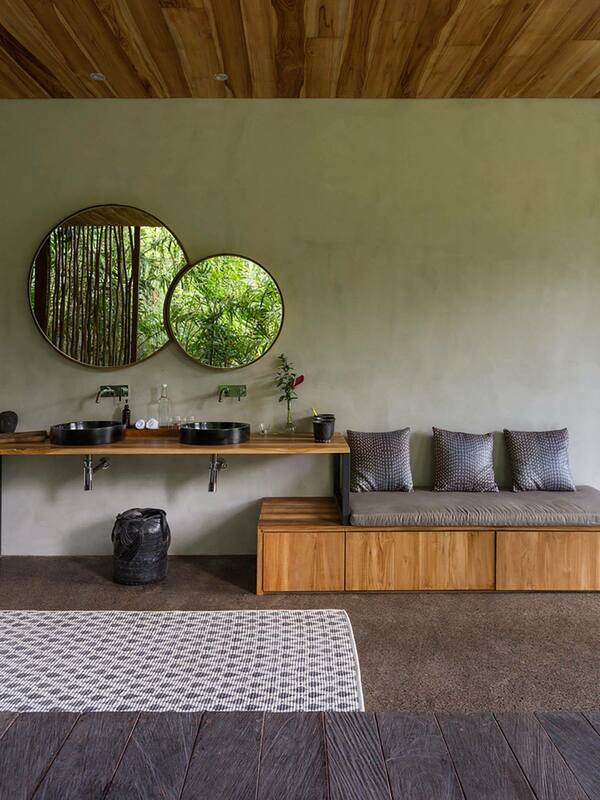 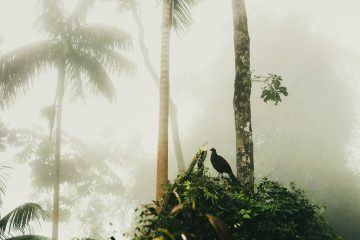 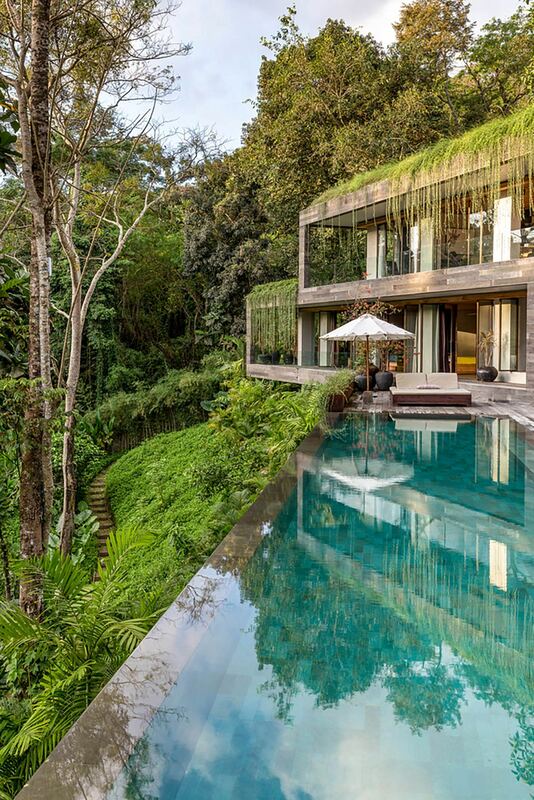 East of the Balinese capital Denpasar is a village called Buwit, here, amidst dense rainforest overlooking a river stands Word of Mouth House’s ‘Chameleon Villa’. 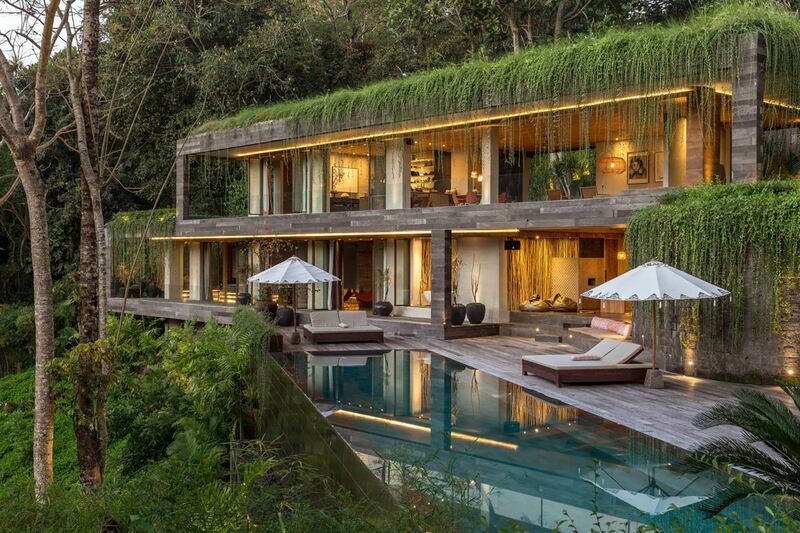 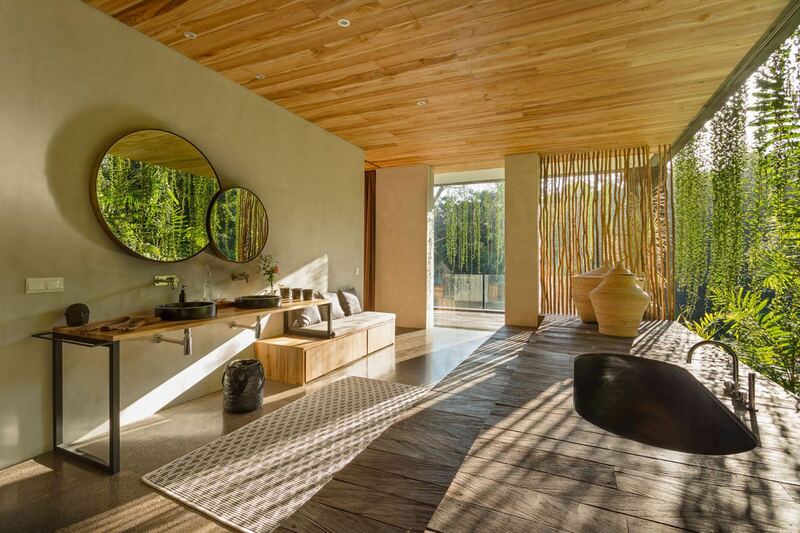 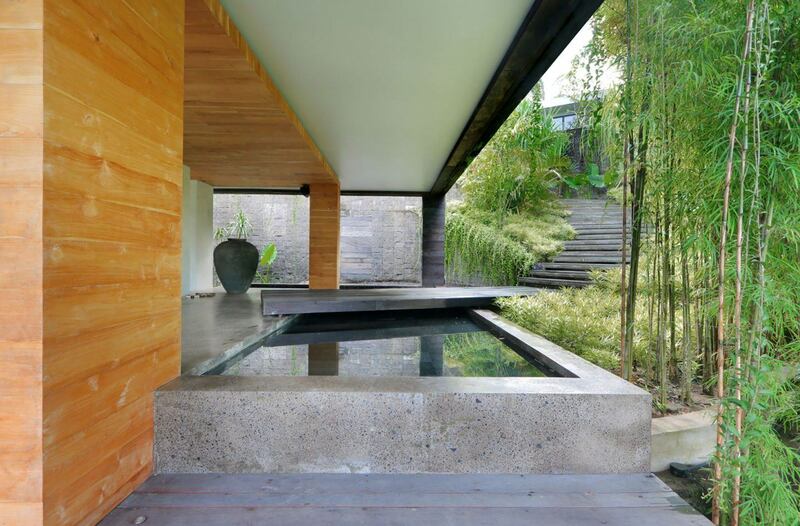 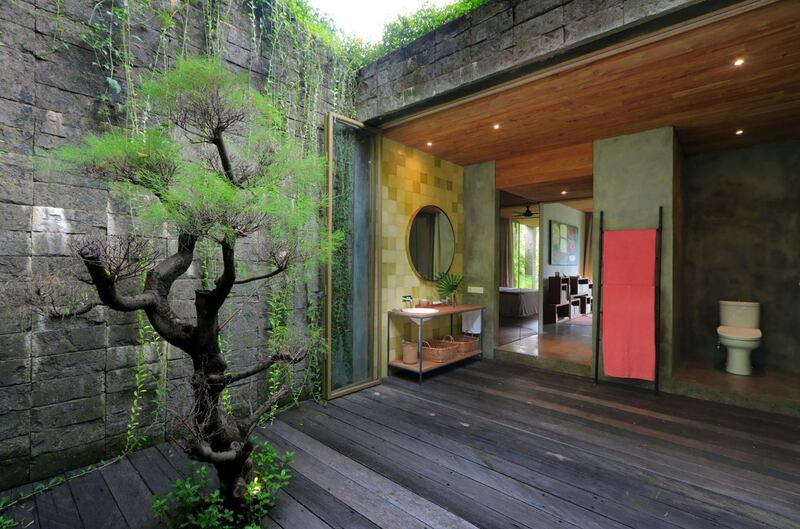 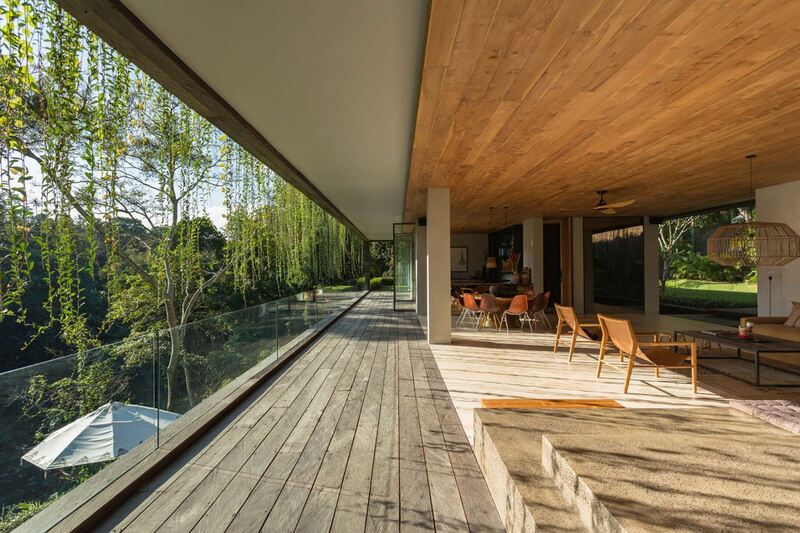 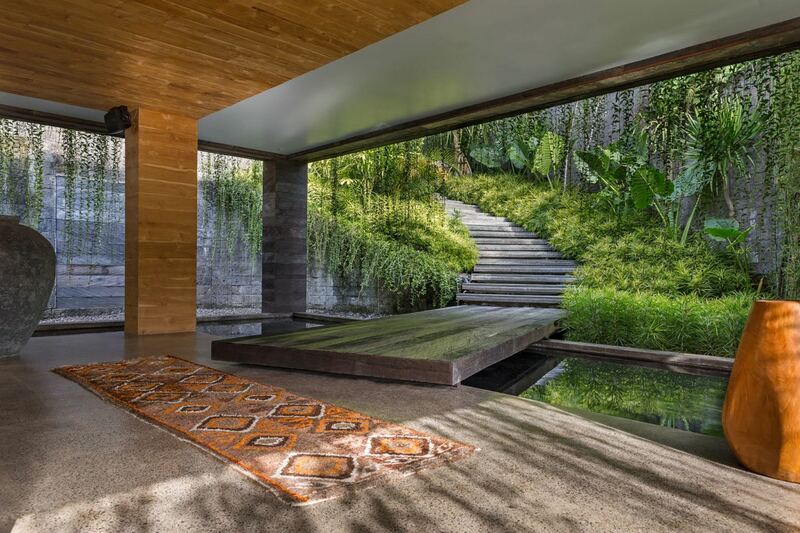 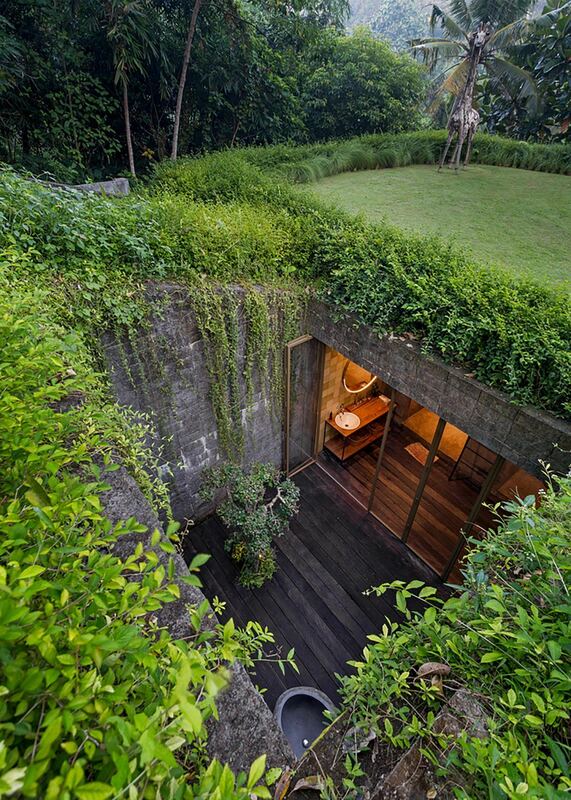 A multi-level home where the jungle has been allowed to take over in the most artful way. 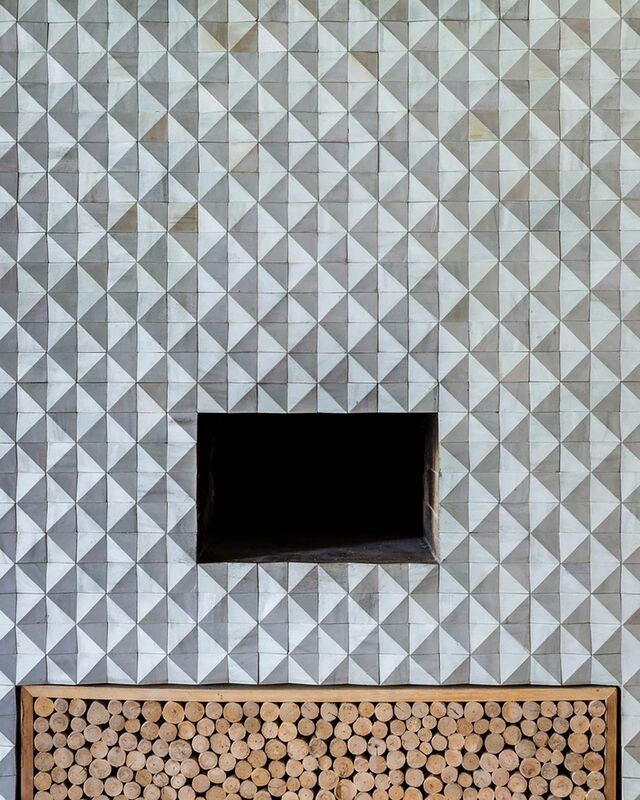 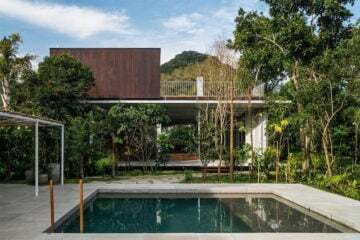 Faced with a vertiginous plot, the architects determined to work with the environment instead of against it, allowing it to govern both the structural layout of the home and to influence its eco-effort. 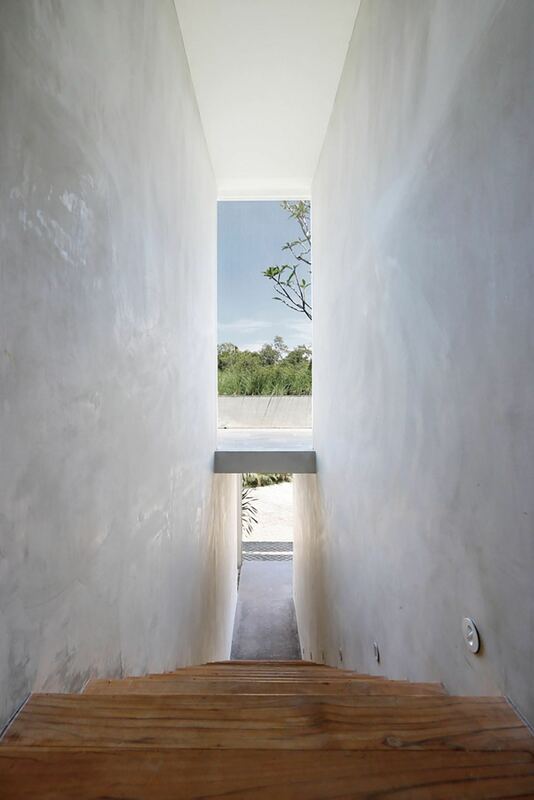 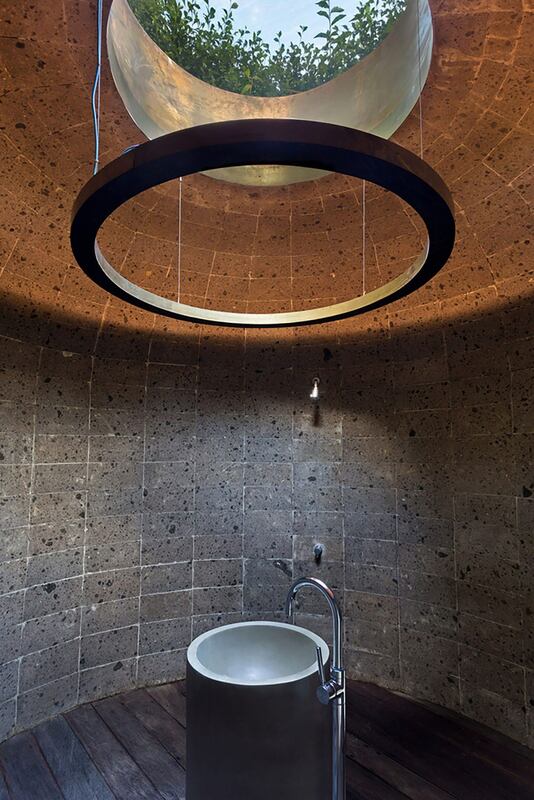 With a focus on reducing the carbon footprint for both the building and its inhabitants in future, solar panels were installed for electricity, as were water recycling and rainwater-collection for irrigation of the garden. 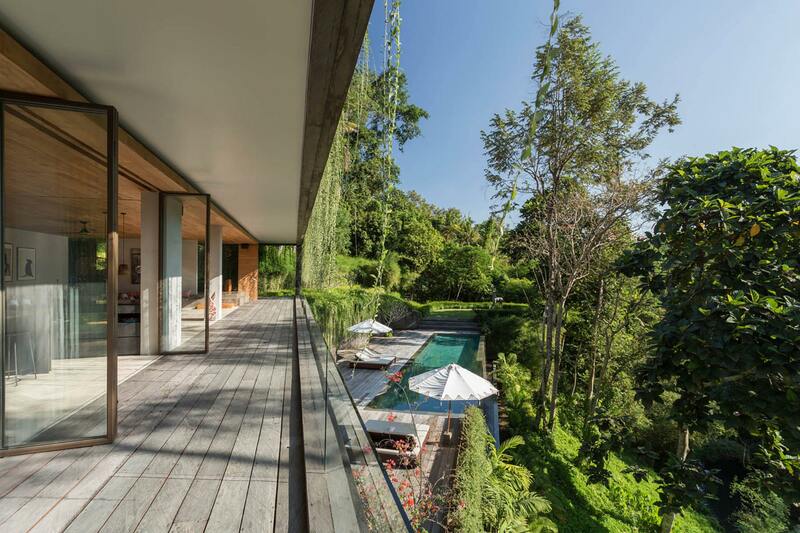 “Given such a spectacular location,” the architects explain, “the challenge was to create a house that truly connected with “Given such a spectacular location, the challenge was to create a house that truly connected with its surroundings”its surroundings and that integrated well with the topography of the site.” To do this, Word of Mouth House blurred boundaries between natural and built environments—all communal areas of the house stand open to the elements, and the private spaces feature sliding glass doors that double as walls, allowing them to open to the landscape when desired. 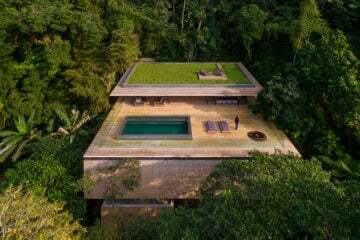 Comprised of buildings across multiple levels, the ‘Chameleon Villa’ merges with its steep plot—its verdant coverage rendering it almost at one with the landscape. 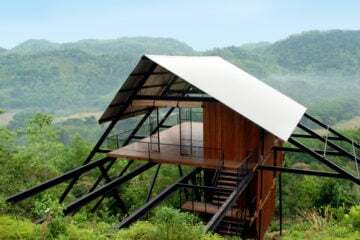 “The buildings follow the contour lines in a way to take in the vantage points towards the river below and the forest across”, the architects explain. 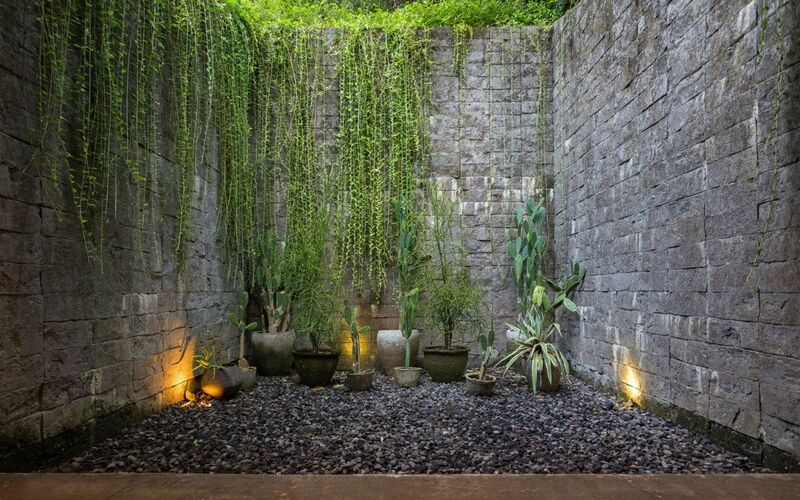 Between these volumes, small gardens and courtyards have been constructed in what would have otherwise been unusable space. 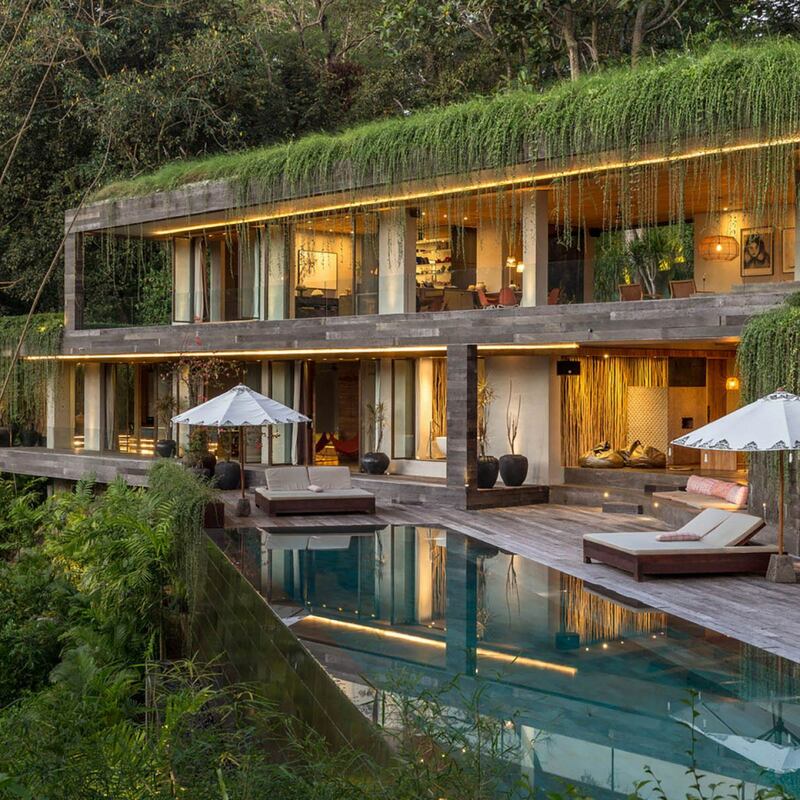 The green roof that spills down across the facade of the home and into these outdoor spaces serves not just as an aesthetic feature but provides natural cooling—crucial to homes built in such humid climates.